Becoming a world-class Scrabble player requires years of study and practice. Yet, even casual Scrabble players can become significantly better with a relatively modest investment of time. One of the best ways is to study Scrabble word lists for some of the most challenging letter combinations. With these words in your vocabulary, you will no longer be perplexed when faced with a Q but no U or struggle with a rack full of vowels (or none at all)! The word lists are also perfect fodder for anyone who plays Words With Friends. If you want to be the best among your friends, study up! For many Scrabble players, drawing a Q is more likely to inspire fear rather than joy, especially when you're missing the U that follows it in the majority of words. However, the 10-point letter can be seen as a source of high-scoring plays. Learning the words which use a Q but not a U can go a long way toward improving your results. Sometimes, even the best Scrabble players get stuck with a rack full of consonants. The good news is that more than 120 legal Scrabble words can be spelled without a vowel. The bad news is that the majority of them require you to have a Y or two. There are over 100 two-letter words which can be played in Scrabble. Although they generally won't bring you a lot of points, knowing them can get you out of some tough spots. And, if you happen to have a Q or Z in your rack, you might be surprised at the points words like QI and ZA can produce! There's only one J in Scrabble and its worth 8 points. So when you draw it, you want to be ready to take advantage of that prized possession. A great place to start is learning a few three-letter J words that you can pull out of nearly any rack. Like the Q, the J, and the Z, many casual Scrabble players would rather not draw an X tile. Taking some time to learn some three-letter X words like DEX, OXO, and RAX can significantly improve your game. Like the Q, the Z is worth 10 points in Scrabble. But some players would be happier never to draw one. The trick to dealing with this situation is learning a few three-letter Z words. With these in your memory bank, pulling the Z will become an "aha!" moment rather than an "ugh" moment and result in a double-digit score. When you draw an X tile in Scrabble, do you regret it? Learning four-letter X words like CALX and PREX can be a game changer and seriously improve your Scrabble score in a flash. The Z is one of the most valuable tiles in Scrabble, so when you draw it you will want to make the most of the opportunity. Learning four-letter Z words like CHEZ and MOZO will get you ready to do exactly that. A rack full of vowel tiles can put you in a real pinch. That's when you'll be happy to have studied vowel-heavy five-letter words, all of which have at least four vowels. Talk about getting a fresh start (and, hopefully, some consonants)! Now, if you could get rid of just one more tile, you would, right? 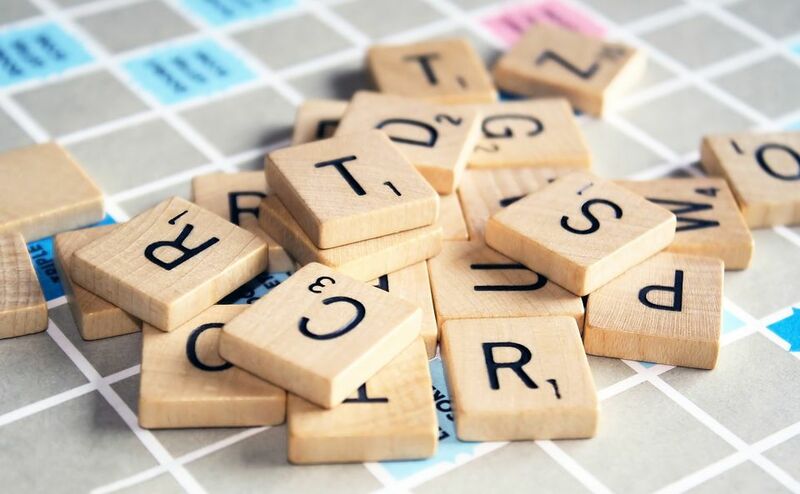 In Scrabble, it can make a big difference, which is why you'll want to know some vowel-heavy six-letter words. Each includes at least four vowels and can help turn your fortune around. Even with a vowel-filled rack, it is possible to clear it out completely. There are a number of vowel-heavy words that are seven and eight letters long that are legal in the game. All of the seven-letter words include at least five vowels, and the eight-letter words include at least six vowels. The only problem is that they're not the easiest words to remember, so you might want to spend extra time committing them to memory.